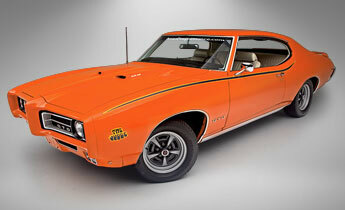 The 1969 Judge was the brightest, wildest, craziest GTO ever produced. 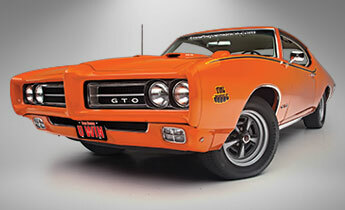 Now, the muscle car that defined an entire generation can be yours when you enter and win the GTO Dream Giveaway. You read that right. 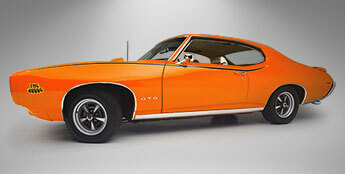 We’re giving away a fully restored 1969 Pontiac GTO Judge to one lucky winner. When you make a donation to help out some great charities, you are in it to win it. Plus if you’re the winner, we’ll pay $20,000 for taxes and fly you to Clearwater, Florida, to be awarded the ultimate GTO. Enter and win and you’ll flip back to the glory days of 1969 in this expertly restored 1969 Judge. 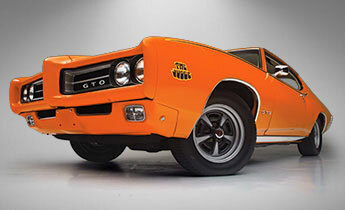 Whether your idea of old-fashioned fun is a Saturday-night cruise or going heads up against other restored muscle cars at a national meet, this GTO Judge will exceed your wildest expectations. The 1969 Judge was a fabulously fun cruising machine back in the day. Imagine all of the good times you’ll have with it when you enter and win it in the GTO Dream Giveaway brought to you by Ames Performance Engineering. Even standing still, the 1969 Judge looks like a rocket ship on wheels. “The Judge,” a $337 option package available on the GTO, included signature Carousel Red paint, a mighty 400ci Ram Air V-8 engine, standard 3-speed manual transmission, splashy vinyl decals, and super-sized rear spoiler. This incredible 1969 Judge is one of the first 50 GTO Judges ever produced, as verified by Pontiac Historic Services. It was produced on Pontiac’s Arlington, Texas, assembly line on February 19, 1969, and shipped to a small-town dealer—Middleton Motors in Jackson, Tennessee. With its attention-getting looks, go-fast options and original window sticker price of $4,290, this grand-prize Judge went home with its first retail owner pretty quickly and remained in the Tennessee area until recently when it was restored to better-than-new condition. Now it’s your turn. 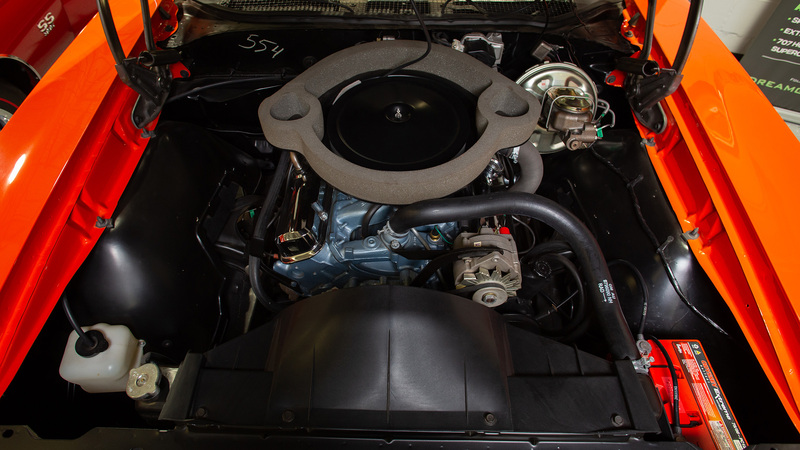 Get ready to put this fully restored 1969 Judge in your garage when you enter and win it in the GTO Dream Giveaway brought to you by Ames Performance Engineering. Here ye. Here ye. Only 6,725 GTO Judges were produced in 1969, making this early-production Judge extremely desirable in today’s collector car hobby. 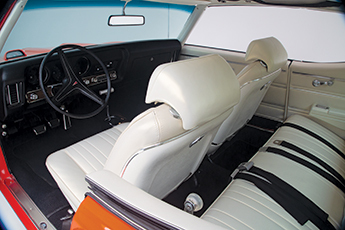 In cooperation with Ames Performance Engineering, the nation’s leading supplier of GTO restoration parts, this 1969 Judge features a top-notch expert restoration, including meticulous attention to detail from bumper to bumper, including paint, chrome, trim, engine bay, interior, undercarriage and exhaust. 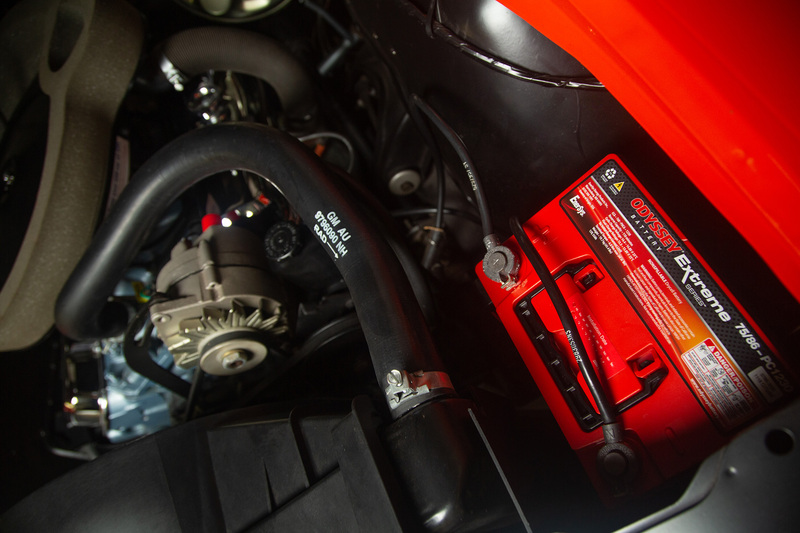 To complete the restoration, we've included an Odyssey Extreme Series Battery for confident engine starting under a myriad of conditions. A binder chock-full of restoration receipts will be conveyed to you if you’re the winner. 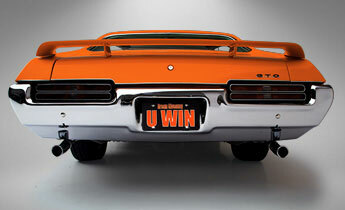 Your opportunity to enter and win this better-than-new 1969 GTO Judge is now, but don’t wait to enter. GTOs this nice only come around every 50 years or so and we wouldn’t want you to miss your chance to buckle up in this iconic classic from the ’60s and drive it home. Plus, we’ll pay $20,000 for the taxes. Enter now. Ames Performance Engineering sells only Pontiac parts and is in its 40th year of supplying enthusiasts worldwide. During this time it has established a reputation with its customers for prompt service and the finest quality products available. Each year Ames attends 13 major swap meets with its vending trailer. Ames sponsors over 75 Pontiac club shows and events and is title sponsor of The Ames Performance Pontiac Nationals in Norwalk, Ohio. Many of the 55,000+ parts Ames sells are exclusive product manufactured by the company. Ames’ goal is to supply the customer with the best available products always at fair prices backed by the best customer service in the industry.